What an achievement! 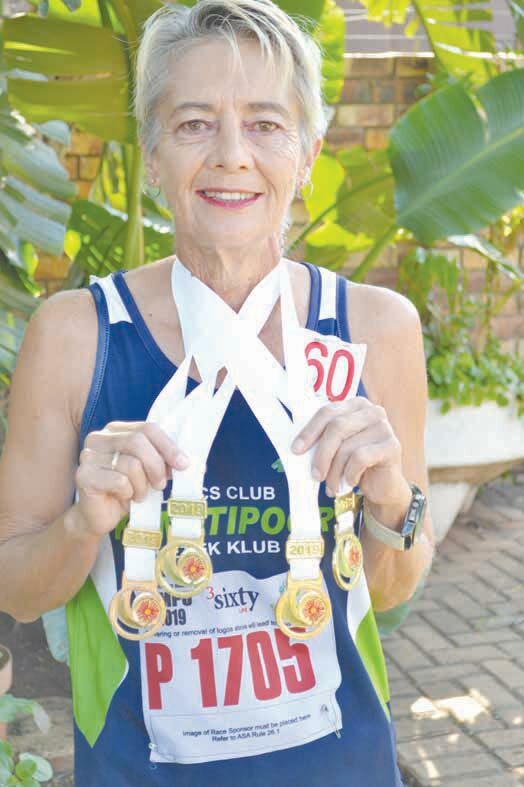 Agatha-Lee du Plessis, is a 63-year old resident of Amsterdam who participated in the Masters Track and Field Provincial athletics meeting on Saturday, 30 March, at Pilditch Stadium, in Pretoria. • High jump • Long jump • 100 m race • 200 m race According to Agatha- Lee, she also managed to improve her own personal, as well as the event’s high jump record, which is now 1.15 m – well done! With these exceptional achievements, she managed to secure her spot in the South African team, while representing Mpumalanga. It is also interesting to know that this dynamic senior athlete has managed to qualify to represent South Africa overseas four times since 2015. Unfortunately, due to financial difficulties over the years, she has never been able to go, but she continues to excel in what she loves and with a bit of luck, her dreams might someday still become a reality. Congratulations – you are making the community of Amsterdam very proud!